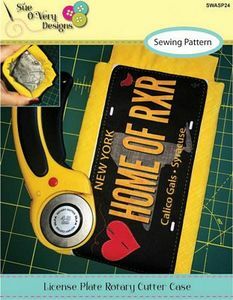 Head to sewing class with your very own Rotary Cutter Snap top Case. This sewing pattern is easy and fun - make two, one for your rotary cutter and the other for your sunglasses. Collect FabricPlates, during the Row by Row Experience in the Summer at different participating shops.